Pennsylvania Kids Magician For Hire: Special Offer! Pennsylvania's Busiest Magician Eddy Ray is offering a special offer for any private party magic show package! 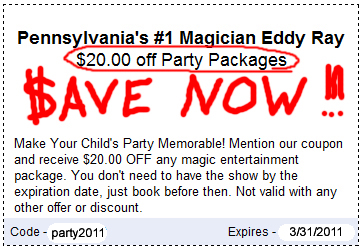 You can receive $20.00 off the purchase price of any of Eddy's private party magic shows! Simply mention this offer when booking. You don't need to have the event before the expiration date, just book Eddy before March 31st, 2011. 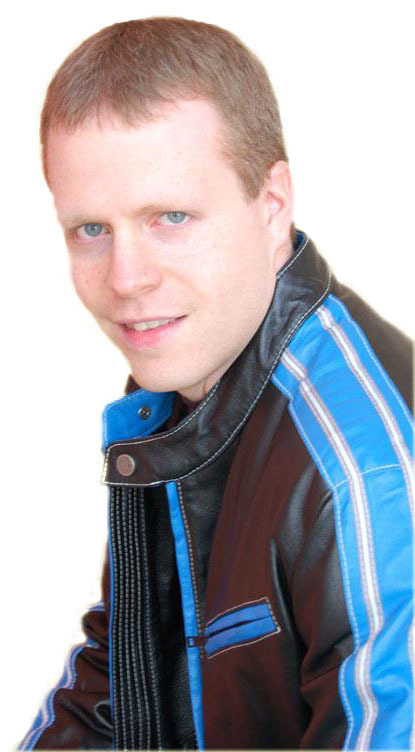 Eddy Ray specializes in family friendly magic show that entertain both kids and parents. This Pennsylvania Magician creates memorable events by using magic, comedy, music, and audience involvement. He has performed all over the world and some of his clients include: Penn's Peak Radio, America's Got Talent, Weeu Radio, Fox 43, and many more!